Welcome to our Hanging Chair Guide 2019. With this guide, we want to make your purchase decision easier and help you find the best hanging chair for you. On this page, you will find answers to frequently asked questions, but also some important information about what you should pay attention to if you want to buy a hanging chair. 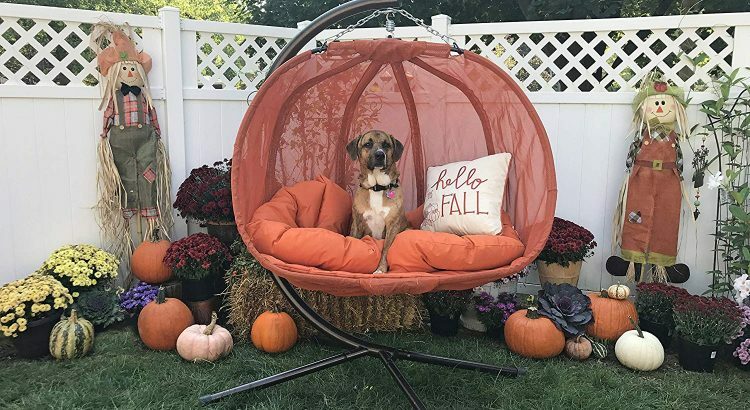 Furthermore, here we have collected detailed background information for you, added a summary of customer reviews available on the net, and going to present the Best Hanging Chairs in 2019. 3 Things you should consider before buying a hanging chair? 3.1 What are the benefits of a hanging chair? 3.2 What size should I choose? 3.3 Where can I hang the hanging chair? 3.4 How much do hanging chairs cost? 3.5 Where can I buy a hanging chair? 3.6 What are the alternatives to a hanging chair? 4 What types of hanging chairs are there and which one is right for you? There are basically two types of hanging seats: the soft fabric hanging chairs, and the hard basket hanging chairs. Fabric hanging chairs are – hammock chairs, macrame hanging chairs, hanging cocoons and the hanging caves. 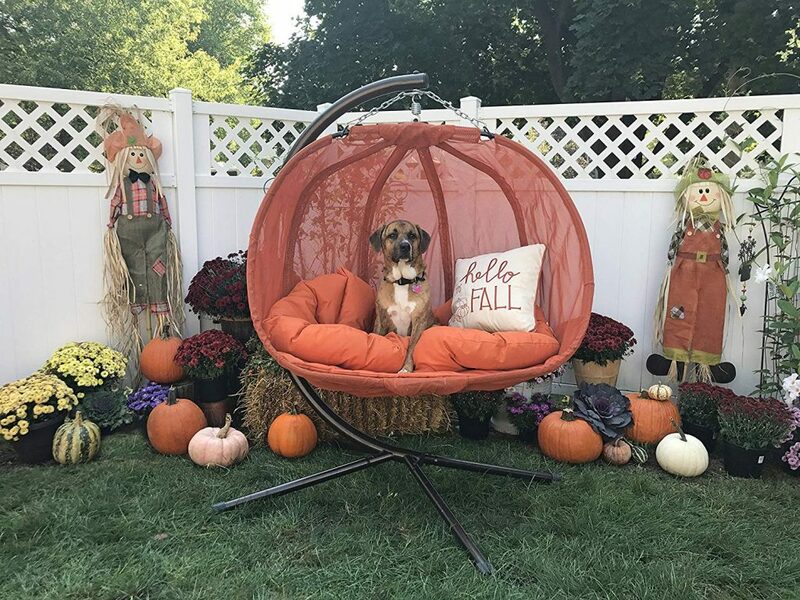 Basket hanging chairs are – the wooden hanging chairs, the wicker hanging chairs (natural rattan or synthetic rattan), hanging bubble chairs, the hanging pods, hanging papasan chairs and hanging nests. How to hang a hanging chair? Depending on space available in your house or in your garden, on the terrace or the balcony, you can choose between a hanging chair stand or a suspension kit. How much does a hanging chair cost? Fabric hammock hanging seats are always well suited as an inexpensive option. Otherwise basket hanging chairs you will find in the middle price segment. If you like designer hanging chairs or luxurious swings, the wooden hanging seats are the best choice, but they are also the most expensive. 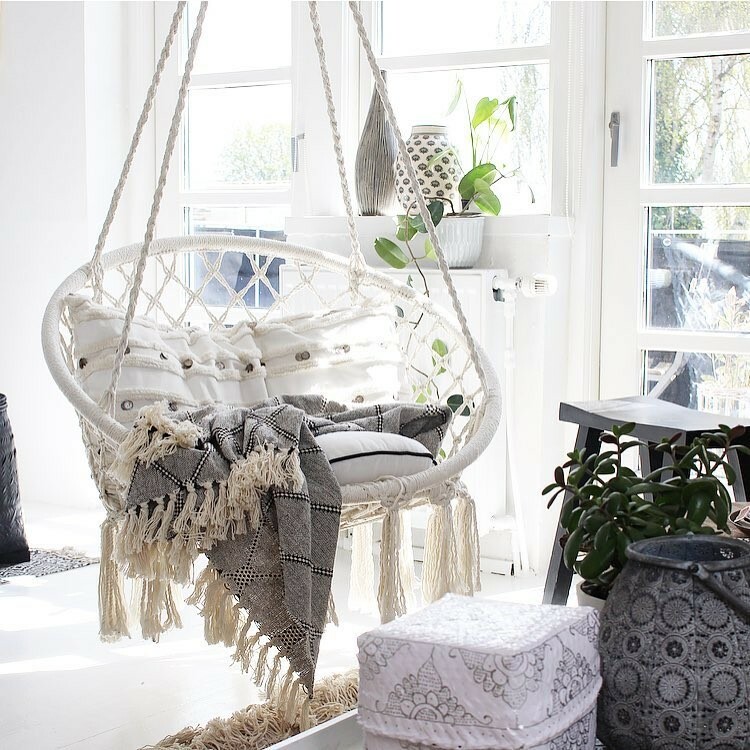 Here you can read our article about 10 Unique Hanging Chair Models 2019 You Will Love, where we have introduced 9 really beautiful basket chairs and one gorgeous macrame hanging chair. The hanging chairs are trendy, and there are hundreds of models out there on the market, but only a few of them are unique in design and comfortably at the same time. Are you looking for a simple and cheap but stylish hanging seat? Then this macrame hanging chair from Sorbus is just the thing for you. The polyester ring offers the necessary stability and the woven seat made of pure cotton provides the necessary comfort. The four ropes hold the hanging chair in a stable position while you relax and let your soul dangle. This basket hanging chair made of washable fabric. The use of this weather-resistant material gives you a weatherproof and easy-care basket hanging chair. You can choose between four different colors nd also get matching cushions. Hanging Chair Swing Weight Capacity 265lbs. Things you should consider before buying a hanging chair? What are the benefits of a hanging chair? The dynamic swing movement trains your motor skills and your sense of balance. 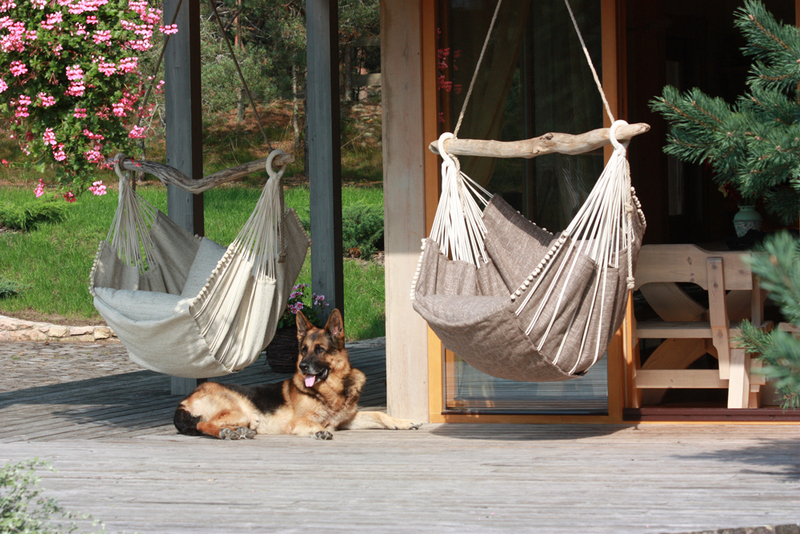 Here you can read a really nice article about 7 Reasons To Hang a Hammock Chair Indoors and why a hanging chair can be a suitable companion and a nice accessory in the garden or on the balcony for everyone. The size is primarily dependent on the space you have available for a hanging chair. In the living room, it is nicer and takes up less space if you install a free-floating hanging chair without a frame. For outdoor hanging chairs you may have more possibilities; on a balcony, a small hanging chair makes more sense. But if you have a garden, a hanging chair with stand is a good choice. Also, even a large basket hanging chair can be suspended from a sturdy tree. Another important point, of course, is your height and weight. The seating area should offer you enough space so that you don’t feel constricted. If you choose a fabric hammock chair, it should be large enough to sit in or even better, to lie in. For this reason, many suppliers offer extra large hammock chair loungers. The rule for the correct size of a fabric hammock chair is: The cloth length of the seat should be at least 20 cm longer than you are tall. This ensures a sufficient size. 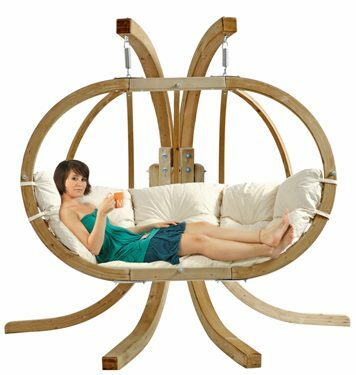 If you really only want to sit in your hammock chair, then, of course, your hanging chair can also be smaller. Where can I hang the hanging chair? Some hanging chairs are offered with suitable hanging kits and accessories. But for many good hanging chairs, it is not the case, and you have to choose a suitable suspension yourself. The easiest way to hang up a hanging seat is to use a hanging chair frame. It is easy to install and flexible- so you can change the location of your hanging chair without any problems. We recommend a seat outdoors, ut in a small apartment, a hanging chair with frame looks too bulky. The suspension from the ceiling saves space and is much more elegant. Her is It is important to find the best hanging accessory. For outdoor hanging chairs, another option is to hang the hanging chair on a tree. You need a really stable branch or you can distribute the weight over diverse branches using a rope construction. When you buy a swing chair for indoors, you should already have a definite place for it. So you need to double check that the hammock seat will indeed fit in that space. Don’t forget, it’s also called a hammock swing. So it should away from walls or other pieces of furniture. There should be enough space for the sitting person to actually swing in any direction without hitting anything. How much do hanging chairs cost? The prices vary very strongly, depending on quality and design. Although there are very cheap models starting from 30 $, we do not recommend to choose the cheapest model. Many manufacturers also offer fair and sustainably produced hanging chairs. If you care about quality and nature, you should spend between 70 and 200 $ for a good cotton hammock chair. For basket rattan chairs or those made of wood, wicker or acrylic, you should spend 350 $ or more. Where can I buy a hanging chair? Hanging chairs are the in-thing, and many good models can be found in furniture stores. Ikea does not offer hanging chairs at the moment. In addition, various versions of the hanging chairs are available in numerous online shops. What are the alternatives to a hanging chair? The classic alternative to a hammock chair is a hammock. This is the better choice for those who have a huge living room and prefer to lie down rather than to sit. The hammock completely surrounds the body and adapts to your personal body shape. Opposite to a hammock chair, it offers enough space for a nap or even to sleep in it at night. It can easily be stretched between two trees. So you can take them with on a trip to nature and hang them almost everywhere. Even though the hammock offers enough space to lay in, it also requires a lot of space. That is why a hammock chair is the better choice for indoors. What types of hanging chairs are there and which one is right for you? The fabric hanging chair, also known as hammock chair, is the classic form of the hanging chair. It was developed from the original hammock and offers you all comfort of a hammock combined with the possibility of sitting upright. The basket hanging chair is hard, usually made of wicker, which can be made of different materials. You can sit stable in this kind of chair. Wicker hanging chairs are typically made of rattan. Since this natural product is usually not weather-resistant, most hanging seats for the garden are made of PE rattan. It thus offers the elegance of rattan wickerwork while defying sun, wind and rain. The wooden hanging chair belongs to the luxurious hanging seats and is made of solid wooden parts. They are similar to the basket hanging chairs and offer a lot of space, but take up a lot of space accordingly. Therefore they are very suitable for the garden. The hanging cave is very popular for kids, and probably the most cuddly variant of the hanging chair. Like all other hanging seats, it is swinging. The small but fine difference is that the hanging cave is closed all around, except for the entrance. This also makes it ideal for children and offers space for numerous adventures. This trend has been going on for a while now. One sees this above all in the fact that ever more money and trouble is used for the mechanism of the own garden. If you have your own garden, you want to use it intensively and set it up accordingly. Of course, this starts with the planting and continues with the garden furniture. This also applies to balconies. A similar trend can be observed here. This means that the quality of garden furniture is becoming ever higher. Of course, this also includes hanging chairs. More and more people want to relax and unwind outdoors. And where better to do that than in a beautiful hanging chair? For this reason, there is now a gigantic selection of armchairs. The topic of sustainability is becoming more and more important. First manufacturers offer models made of recycled materials and organic quality. It is essential to pay attention to certified wood cultivation. Some manufacturers also offer bamboo spreaders. This has the advantage that it is an extremely fast renewable raw material. The good conscience has a price, but the planet will thank you for this extra expense. Who can afford it, should consider whether such an armchair is not perhaps exactly the right thing. Another trend that has been continuing for some time is the dominance of outdoor swing chairs made from synthetic wicker also known as Synthetic Rattan. This material has a great advantage that it tolerates moisture very well, cannot get moldy and is extremely easy to clean. So it is usually enough to wash the armchair with a damp cloth. In addition, synthetic rattan looks very high-quality due to its braided look and is not expensive at all. 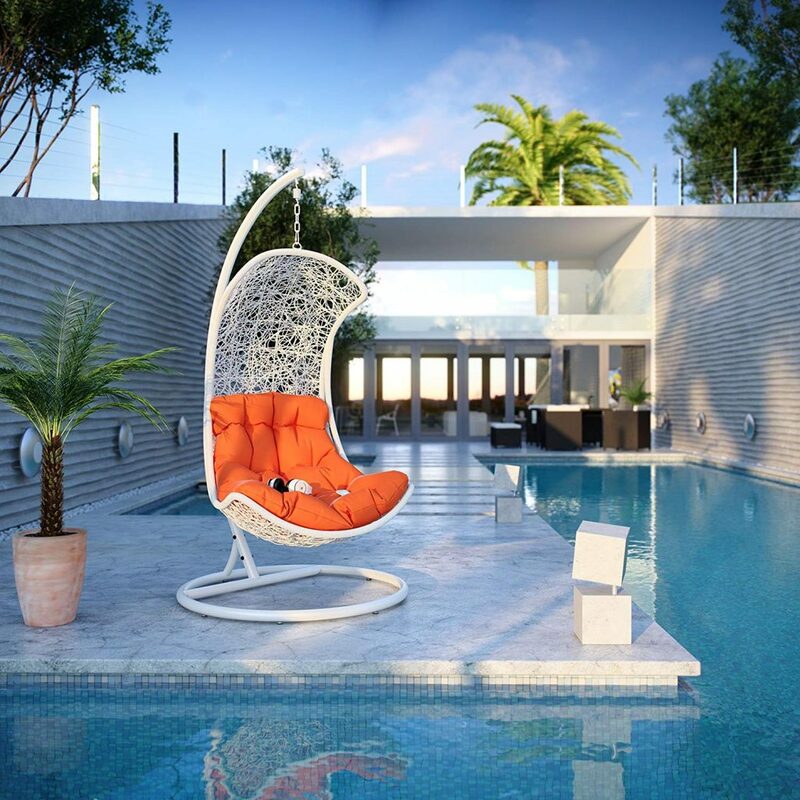 For all these reasons, there is now a large selection of beautiful hanging chairs made of water-resistant PE rattan. Anyone who buys such a hanging chair this year will definitely be in line with the trend. What factors you can use to compare and evaluate hanging chairs? The following points will make it easier for you to decide whether a particular hanging chair is suitable for you or not. This is the most important factor to consider when choosing the right hanging chair. First of all, you should be aware of how much space you have available for installing a hanging chair. 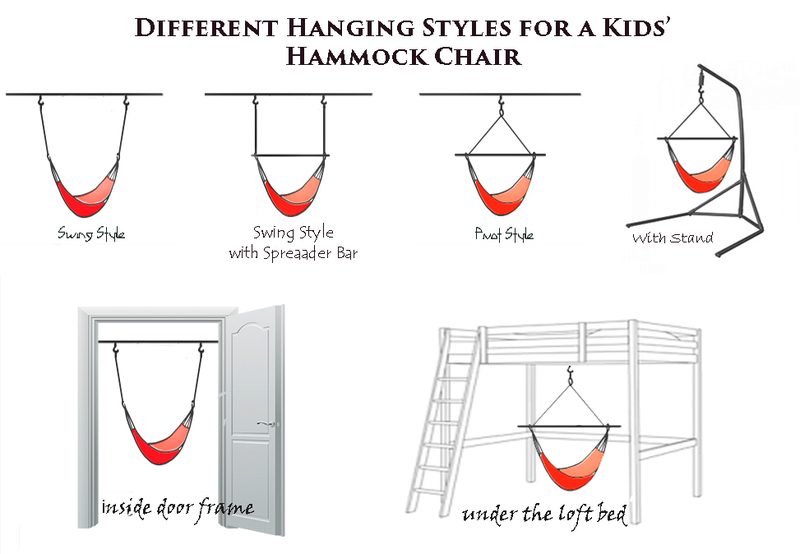 Also don’t forget to include more space for movements, especially if you are looking for a hanging chair for kids. Depending on the hanging chair type, there are also different requirements for the material. We have briefly summarized for each variant what you should pay particular attention to. For a hammock chair is particularly important to pay attention to a high-quality fabric. In addition to the classic cotton cloth, you can also choose from a variety of weather-resistant fabrics. The classic cotton cloth is always recommendable due to its soft, cuddly structure, but for outdoor hammock chairs, we recommend a weather resistant option. New fabrics on the market offer the same comfort and feel as real cotton. If the seams are of good quality, you will enjoy your hammock chair for a long time. The basket hanging chairs are particularly impressive due to their durability. There are two types of rattan: the real natural rattan, which is obtained from the trunks of the rattan palm, and the PE rattan, which combines all artificial materials made of polyethylene, which are used for basket production. Genuine rattan is natural, looks noble and enhances any balcony, terrace or garden, but looks beautiful indoors too. But here caution is necessary because this is not necessarily made for every weather and must be treated more carefully. In addition, hanging chairs made of real rattan are considerably more expensive. Polyrattan is intended for outdoor use and much more weather resistant. It gives you more flexibility, is cheaper and easier to care for. Polyrattan and synthetic fabrics have a clear advantage here. A wooden hanging chair is made, as the name tells us, of wood. There are countless variants and combinations of the natural material. By nature, wood is a durable material. Before buying a wooden model, you should only make sure that the material has been treated and is, more weatherproof. wood is also weather-resistant, but should still be protected. If you don’t expose your wooden hanging chair to the rain too often and keep it sheltered in winter, you will have many years of fun with it. You can typically attach your hanging chair in four different ways. Here we briefly introduce you to the three types and show you the Pros and Cons. A hanging chair stand or frame is the easiest way to hang up your hanging seat safely. On the market,, there is a large selection of frames in different shapes, colors and materials. The most commonly used frame is a steel frame. The most cost-effective outdoor suspension is the branch of a tree. All you need is a strong rope knotted to a strong branch and a snap hook. These utensils are usually already available as a set from the manufacturers at a reasonable price as accessories to buy. First, you need to figure out who owns the balcony. If it’s your own, you can start right away. But if it belongs to your neighbor, then you should ask him beforehand if it is okay for him. Stability is particularly important here again. If you can find a visible wooden beam or steel construction, you can proceed in the same way as with the suspension on the tree and attach a loop over the steel girder or beam and hang your hanging chair on it. A guide on how to hang a hanging chair you can find here. More than anything else, quality and comfort are the two most important factors when choosing a good piece of furniture for sitting in. But a hanging chair is not only a piece of furniture- it is a lifestyle. So the design shouldn’t be ignored. We hope this Guide 2019 will help you to find the Best Hanging Chair for You.